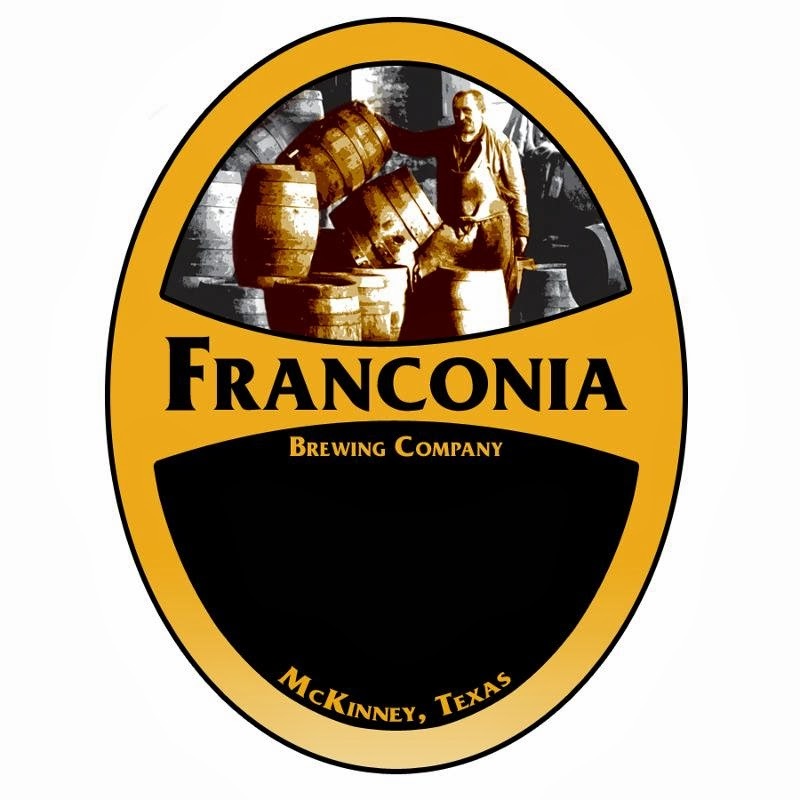 If I had to sum up 2013 for the Franconia Brewing Company, the phrase I would use is "what a difference a year makes." Consider that the brewery's fifth year in business consisted of producing a number of new beers, installing equipment to generate their own power and purchasing a bottling line to package their products for retail sale. You might say things have been a little busy up in McKinney, and there doesn't appear to be a slowdown in store for 2014. Pending bottle releases include Franconia Amber on a year-round basis, followed by limited runs of the Double IPA and seasonal Maibock. The Double IPA returns after being a part of 2013's "Five Beers for Five Years" initiative, a series of anniversary brews that also included an Oatmeal Stout, the Champagne Ale and a Smoked Wheat. Now, if you've been keeping count, you may notice that the anniversary list only adds up to four. Turns out time spent getting the bottling line up and running got in the way of brewing the fifth beer. That brew is finally in the works as well, something owner Dennis Wehrmann calls the Tripel Dunkel. As the name implies, Franconia's newest creation is a hybrid beer fermented with a Belgian ale yeast. The grain bill for the brewery's standard Dunkel was bumped up to provide for more fermentable sugars, which is expected to bring the finished beer in line with an ABV typical of a Belgian tripel (> 7.5%). Early samples reveal a grainy character in the aroma, with plums and a hint of darker fruits lingering in the background. The beer has a light sweetness in the initial taste, but it dries out considerably before finishing with a distinctly dark malt-based bitterness. Without a doubt, the Tripel Dunkel is one of the more complex beers to come out of the brewery to date. Fans of the regular Dunkel shouldn't expect a simple variation on a theme, as the Tripel Dunkel's fuller body, chewy palate and warming alcohol are quite a contrast compared to the original we've all grown accustomed to. Tripel Dunkel will be draught only and available in the coming weeks at bars and restaurants that typically carry Franconia's seasonal brews.